How unusual is that? good to see you back Wagger!! What a beauty I have nt seen one before. It's an October/November photo I put on for my info, lol. It's a plain limey green in summer like most larches. Often lurking in the background, Daisy. 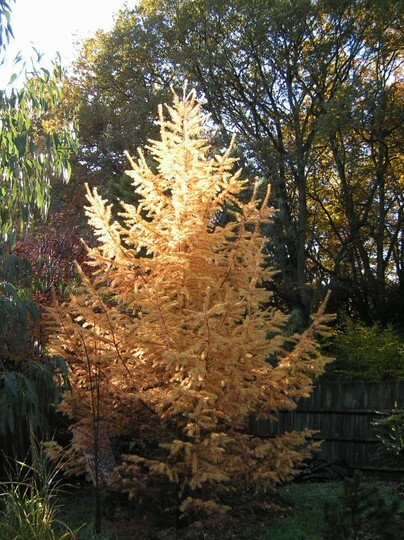 See who else is growing Larix kaempferi (Japanese larch). See who else has plants in genus Larix.